Facebook secures La Liga rights in India to show every game from Spanish soccer’s top flight for free. 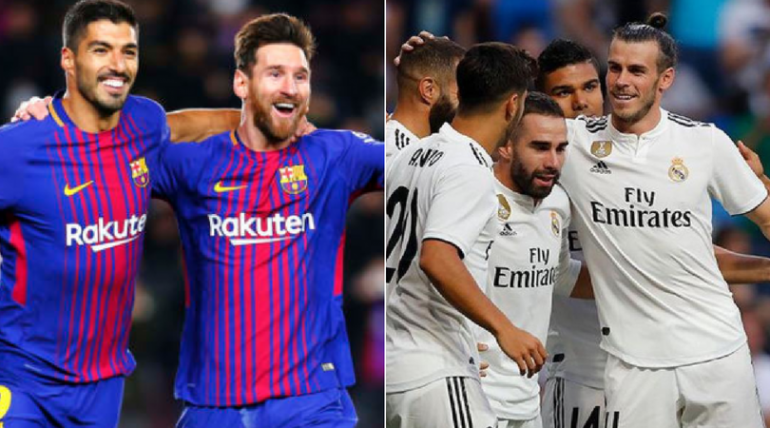 La Liga has confirmed a landmark rights deal with Facebook as the social media giant has bought rights to show Spanish top-flight football in the Indian subcontinent in the latest move by a US technology company into sports rights. La Liga and Facebook chose not to release the financial terms of the deal. Sony Pictures Network, which held the rights in the region between 2014 and 2018, paid US$32 million, according to the Reuters news agency.Facebook pays about $1m a game to show 25 Major League Baseball games worldwide for no fee, supported by advertising. From next season in the UK, Amazon will bundle 20 English Premier League matches with its Prime subscription service. Sky and BT currently share the rights to show live games on TV. The deal is La Liga’s latest effort to expand its fanbase in India, where it opened an office in New Delhi in 2016. “We are really happy to be on a free-to-air service in such an important territory as the Indian subcontinent,” said Alfredo Bermejo, La Liga’s head of digital strategy, speaking to Reuters. The games will initially be shown without adverts, although Facebook is doing trials in advertising on live content in the US which could later be replicated in its La Liga coverage. Peter Hutton, Facebook’s head of global live sports programming, described the partnership as an experiment rather than a sign that the company is about to announce a raft of further deals.